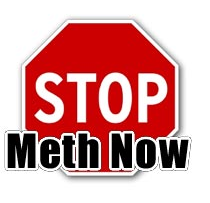 Methamphetamine is sometimes known as meth, ice, speed, crank, crystal, chalk or glass. It is an extremely addictive stimulant and the effects are similar to those of cocaine but longer lasting. The drug can cause erratic, violent behavior among its users. Users can develop a tolerance quickly, needing more and more to get high and going on longer binges. Psychological symptoms of prolonged meth use can resemble those of schizophrenia and are characterized by paranoia, hallucinations, repetitive behavior patterns, and delusions of parasites or insects on the skin. Users often obsessively scratch their skin to get rid of these imagined insects.